Track your time with your Windows Phone whenever and wherever — the app works online and offline*. The timr app records your entries and automatically syncs them to the server whenever your device is connected to the internet. 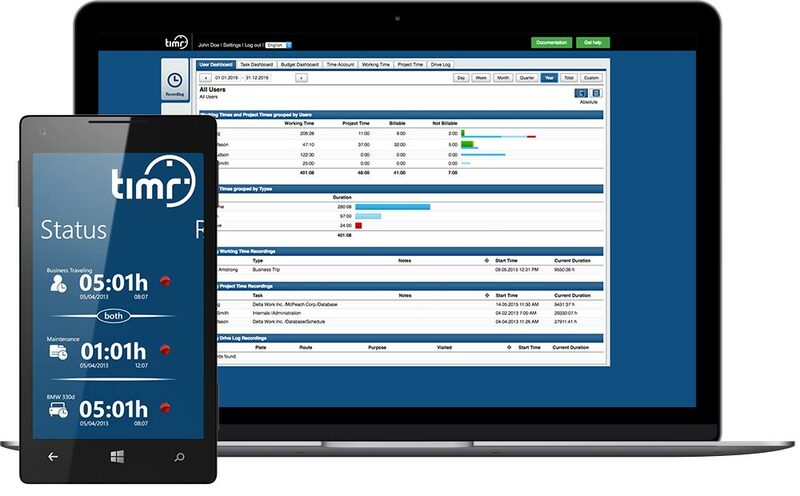 Each employee can independently choose a mobile device for their time tracking. The app is available for all popular smartphone platforms. The time tracking app can also help you locate and dispatch your employees efficiently. Using GPS positioning, you are staying aware of their current location and can send the person who is closest to the job site. The app puts every feature at your fingertips: time tracking, project hours and mileage log are combined in one and the same app. Manage everything from the comfort of your office using the web app. Time entries are recorded on-the-go with the Windows Phone app and the data is automatically synced to and secured in the web app where you can access it. 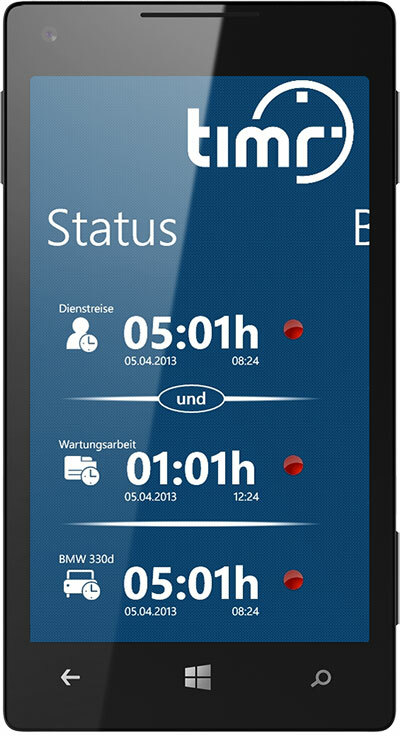 Track your working time or your project hours with the app, no matter your whereabouts. All entries are automatically synced to the web app. The timr app for Windows Phone is a great method for keeping a mileage log. All recorded entries can be managed from the web app. If you use timr, time tracking can be done so easily — right from your Windows Phone. See for yourself and try out the timr Windows Phone app!